W5 covers the area of Ealing. It neighbours on Alperton and Park Royal in the North, Hanwell in the West, Brentford and Gunnersbury in the South and Acton in the East. 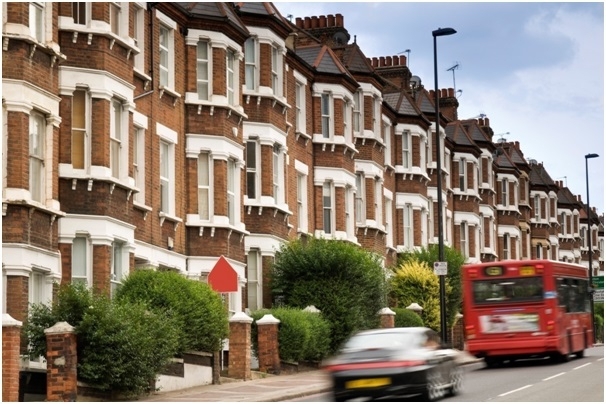 It is one of the largest postcodes in London with a high population covering a huge area. As such it requires a carefully designed and thought-through mapping system that excludes the parts of it that are not suitable for leaflet distribution and groups the remaining areas into easy to target demographically cohesive groups. We then take the individual groups of similar demographics and make smaller maps of approximately 5000 households that our clients can pick from for effective targeting. W5 has a fairly even demographic spread with approximately 25% of the households in this area having children and a 50% being one-person households or couples without children. The average income in W5 is still considerably higher than the London average which is evidenced by the fact that more than 60% of working-age residents describe themselves as associate professionals, professionals, managers or directors. One of the fairly Ealing specific things to consider when planning a leaflet distribution campaign is the number of homes with gardens. More than a third of houses here have a garden attached to this property. This is a very useful piece of information for any household or garden related company. Whether your business has to do with tree maintenance, garden maintenance or even Sash Window crafting, W5 is one of the best places to target in London. Even though on a map Ealing looks relatively removed from some of the busier and more central parts of London it is fairly well connected with trains, tubes and buses. District line can be taken from Ealing Common or Ealing Broadway and the Piccadilly line from South Ealing or Northfields. Ealing also has a busy commercial district with a variety of shopping and entertainment options. Ealing has developed into a London suburb during the Victorian era when it transformed from it's country-side origins into a busier suburb typical of the areas surrounding London. It was originally occupied mostly by wealthy and middle-class Londoners looking to start families outside of the hustle and bustle of central London. In many ways it has still kept it's character and the demographics have been unchanged throughout time. Ealing is generally an easy to deliver area with long streets lined with terraced homes. As such it needs to be cleverly segmented into smaller deliverable areas. We work on the basis of maps that contain 5000 households. These are manageable and allow our clients to select exactly which parts they want to target in one of the largest London postcodes. . This is also combined with our live Mercury system that informs all our clients in real time about exactly when and where deliveries are taking place. The combination of these two systems gives our clients an unparalleled amount of control over the planning and targetting of their campaigns. On top of that it keeps them informed and allows each of our clients to come and see deliveries being made at any point unannounced.